Abstract: This article introduces a simple two-stage method to synthesize and program a photomechanical elastomer (PME) for light-driven artificial muscle-like actuations in soft robotics. First, photochromic azobenzene molecules are covalently attached to a polyurethane backbone via a two-part step-growth polymerization. Next, mechanical alignment is applied to induce anisotropic deformations in the PME-actuating films. Cross-linked through dynamic hydrogen bonds, the PMEs also possess autonomic self-healing properties without external energy input. This self-healing allows for a single alignment step of the PME film and subsequent “cut and paste” assembly for multi-axis actuation of a self-folded soft-robotic gripper from a single degree of freedom optical input. Funding Text: S.L. and Y.T. contributed equally to this work. The authors acknowledge funding support from the Air Force Office of Scientific Research (AFOSR) (Grant No. FA9550-18-1-0243) and Office of Naval Research (ONR) (Grant No. N00014-17-1-2837). 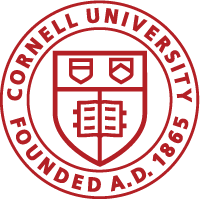 Part of the study was performed at the Cornell Energy Systems Institute and Cornell Center for Materials Research Shared Facilities, which are supported through the NSF MRSEC program (DMR-1719875). S.L. thanks Ziwei Liu for her assistance with POM images and Dr. Thomas Wallin for the helpful discussion.